In March and April the Xorro team has released a load of new functionality. So… you make presentations to audiences. Wouldn’t it be great if there was a simple, instant way to involve your audience in your questions, using their own cellphones, tablets etc? From April, customers can order 3D versions of the 2Touch 84″ ultra definition (UD) display. Using low cost passive 3D glasses, this new feature adds further versatility to an already remarkable package. In March 2013, the 2Touch-Penta range of interactive displays has been added to the line-up. The Penta Interactive Displays are all based on four-camera optical touch solutions, over commercial grade LED panels…. 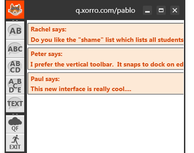 Users of Xorro-Q will observe new benefits when they start up Q this term. Launching in February are several new question types and improved scoring…. The same team that developed 2Touch Workbook has now produced a fresh perspective on whiteboarding software. The new solution will run in any browser supported by Mac or Windows, making this very easily deployed and accessed. 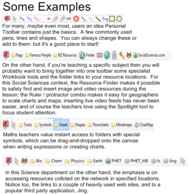 It can run off-line too, however but the new solution’s browser parentage offers many benefits around integrating web based content into activities. Early adopters are called upon to register their interest in the beta program leading up to full release of this solution. Taupo Primary School bought their second Storyphone set last month. Sue Wilson says “It has added a new dimension to my reading programme. 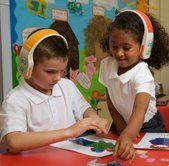 I would definitely recommend them to other schools for their portability and ease of use.”….